A Henna tattoo is a form of non-permanent body art traced back as far as Ancient Egypt. Unlike a normal tattoo which is done by injecting ink into the dermis of the skin, Henna tattoos are painted or drawn on to the skin, hair and fingernails to dye them or create patterns. 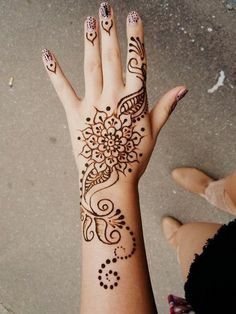 The dye used in a Henna tattoo is from the ‘Henna’ plant which is a small fragrant flowering shrub native to Northern Africa Asia and Northern Australasia . Henna tattoos are commonly used to celebrate traditional gatherings and rites of passage and generally stay on the skin for up to 2 weeks. Sometimes you need to remove henna staining from your skin, hair, or nails faster and washing with water just isn’t doing the job. Below we have provided a tried and true 5 step method on how to remove Henna tattoos and help speed up how quickly it fades. Squeeze the lemon Juice into a bowl and add 2 teaspoons of the baking soda. Mix thoroughly with a spoon. Once the juice and baking soda are thoroughly mixed gently dab a cotton pad in the solution. (Ensure the solution is not dripping through the pad). Place the cotton pad with the solution on the Henna and secure it to the skin using the tape. Leave the cotton pad on the affected area for 2 hours (Or until the Henna has faded). Remove the cotton pad once the Henna has faded. Wash the affected area thoroughly with water and soap. Wow, what else is there to say. Amazing guide, the henna just fell off my skin. 10/10. Thank you Yellow!